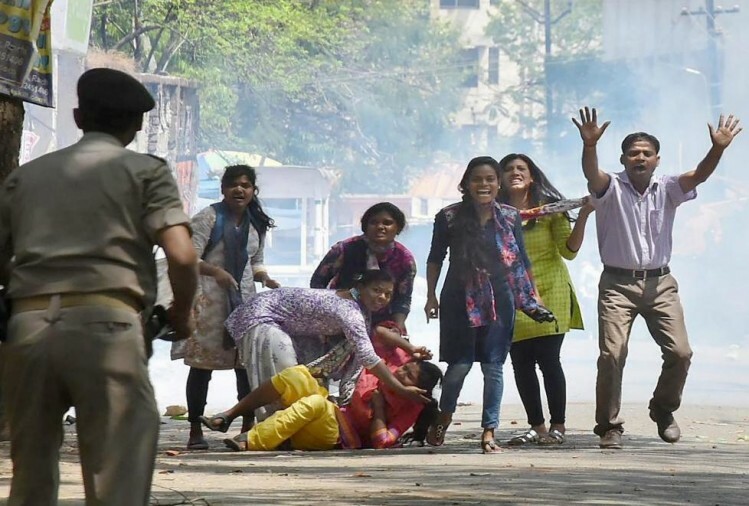 There was a wave of violent protests against the Supreme Court’s (SC) ruling making it mandatory to hold an enquiry before the arrest of persons under the Scheduled Castes and Scheduled Tribes (prevention of atrocities) Act 1989. Though the apex court terms it as a ruling for the protection of innocent persons against frivolous complaints, the wider public opinion seems to have not empathised with the court’s intentions. With people losing their lives and the Centre appealing to the courts to dilute their ruling it undoubtedly makes us ponder about the narrow and wide or long term and short term implications that the SC judgments have been having on the social fabric. The SC being the protector of our constitution and that of its inherent values of social justice, equality and so on, the judiciary has always tried to remain a progressive force driving social developments. The recent judgment of the NALSA case giving sociopolitical empowerment to the transgender population is an epitome of this judicial responsiveness to the contemporary needs of social justice and historical injustice. The judiciary has been bold enough to dive into socially delicate waters and help keep afloat the unpopular yet essential terms of justice. These are the areas where vote bank politics repels the legislature from unpopular decision making. The most recent example is that of the Triple Talaq judgment. The wide implications of this will be seen as it liberates the Muslim women from arbitrary control of the husband on the marriage thus giving them security. But the law making on the same will meet social pressures from the male community. Apart from fighting the rigid patriarchy in society, the judiciary has been prompt in dealing with issues such as child labor, education, and others. The recent judgment on Right to privacy has opened up a new domain of personal rights both social and political. It is no wonder that the LGBT community is looking up to it for declaring the unfair section 377 unconstitutional in the near future. With the coming of the public interest litigation system, the judiciary has been able to better occupy the social vacuum created by legislative and executive inactivity and political compulsions. As per Justice Krishna Iyer, the PIL intents to wipe tears from the eyes of the poor. The issues like environmental degradation which were otherwise on the back seat in the general public discussion but had a huge impact on social well-being were thankfully brought into the light and the political heads were made to act upon the same. However, it is certainly not to be assumed that the judiciary has been a flawless institution. The attempts of the judiciary to intrude in the policy making space while adventurously trying to drive social change has been looked at as a breach of the Separation of powers as mandated by the constitution. Some rulings like the Cauvery verdict or the SC\ST act ruling have been tremendously unpopular triggering a mass reaction. It is in such cases where the judiciary is termed insensitive and unempathetic. Nevertheless, the judgments since independence, like the Keshavananda Bharti Case have deeply impacted not just the political culture of India but also has had deep social implications. It is thus no wonder that the independence of the judiciary in this regard is a value of high regard and for years to come an independent, the proactive and progressive judiciary will enable India to achieve the true ideals the constitution aims to uphold. Ardent nature lover, Kasturi Sule ranked 56th in Indian Forest Services 2017. Blogger, Traveler, Poetess; Her inclination in Public Administration and Public Policy attracts her to study the society through socio-economic and political perspective. Local cop of Thane who was accused for supplying ganja, acquitted ! Well Narrated…. I think we still lack in fulfilling basic needs of common man and waste LOT of manpower on unproductive social issues..
Good article. We need such articles which are balanced and give us insights and understanding of our governance and polity.